Explore Norfolk UK Blog is all about sharing Norfolk with you, the reader. 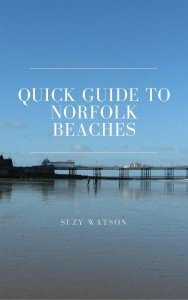 Detailed insights into the many beaches, medieval ruins, stately homes, city breaks, bird watching sites - and so it goes on. Norfolk has so much to offer, we want to share our knowledge and love of the county with you. By subscribing to our RSS feed, you'll be regularly updated on the best places to visit, learn more about the Norfolk culture and find the answers to any questions you may have regarding Norfolk. - It's easy to use - RIGHT-click on the orange RSS button and then copy-and-paste the URL of this site's RSS feed into your RSS reader. Or click on the Google, My Yahoo!, My MSN, or Bloglines button if you keep a personalized home page there. Follow their instructions. Continue reading "Norfolk In Spring – What To Do"
Continue reading "The Manor Hotel Mundesley, Norfolk"
Continue reading "Norfolk Walking Holidays on The Peddars Way And Norfolk Coast Path"
Continue reading "Heacham Manor Hotel, Norfolk"
Continue reading "Hunstanton UK, Coastal Walk, History And Attractions"
Continue reading "The Loft, Hingham, Norfolk"
The Norfolk Broads are man-made peat holes and provided transport from Norwich to Gt Yarmouth. Now it’s visited for its nature reserves and boating holidays. Continue reading "The Norfolk Broads"
Norfolk Woods Resort and Spa is a luxury self-catering holiday lodge resort. 80 lodges, on-site bistro, gym, pool, sauna, spa, tennis court and more! Continue reading "Norfolk Woods Resort and Spa Holiday Lodges"
Continue reading "Norfolk Cottages To Rent For Your Holiday"
Continue reading "Norfolk Wildlife Books With Stunning Photography"